At The Green House we specialise in wedding flowers, funeral flowers and same day flower deliveries for any occasion. Be it birthday, anniversary, I’m sorry – whatever the occasion we can deliver the perfect bouquet of flowers for you. 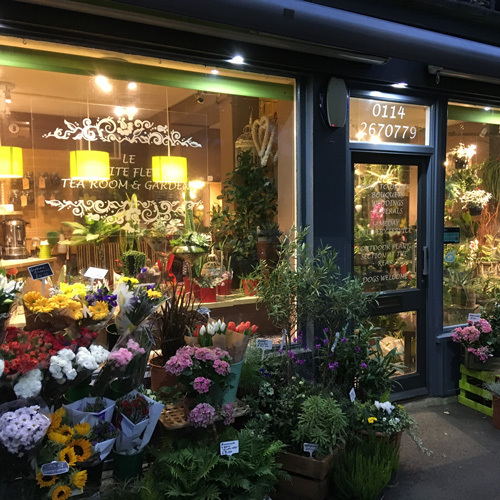 We also specialise in flowers for business – serving lots of local businesses large and small. We frequently provide large flower arrangements for restaurants, exhibitions, seminars, graduation, and also thank you’s from businesses to customers. Contact us to discuss your specific flower requirements on 01142670779. Here at The Green House we are ready to deliver flowers same day (please order before 2pm). You can ring and pay by phone or order online from our website here. We accept Mastercard / Visa /Paypal Thank you for visiting our website. We look forward to being of service soon. If you are looking to send flowers today for any occasion – look no further order here and let The Green House take the hassle out of sending flowers.